- All reservations must be made in writing via our official website or to our email addresses. - All reservation requests will be handled /replied within 24 hours. We will inform you in case we are unable to process your requests due to a specific reason. Reservation will be made when you agree with the provided tailor-made itinerary, the quotation and detail of services included. 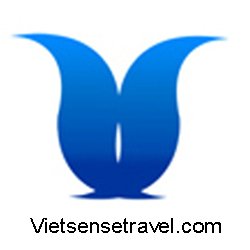 Operation team of Vietsense Travel will start reservation, basing on the final tour itinerary that you agreed with us. When reservation is made, BOOKING CONFIRMATION and PROFORMA INVOICE will be sent to your registered email by your travel consultant. A deposit of 30% (thirty percent) of the total payment of the tour will be required to be paid to Vietsense Travel within 5 days from the issued date of invoice. In case of any unavailability of hotels, flights, etc. we will provide recommended alternative options at equal value. In peak tourist season, we must reserve the right to directly book the alternative options before informing the customer in order to keep availability for the tour. Payment can be made by wire transfer (bank transfer), Western Union, Online Onepay payment gateway (highly recommended for small amount of money) and cash (USD). Except cash payment, a service charge (by your bank) or processing charge may apply. - 1st Deposit: 30% of the total sum of your tour is required to be paid within 5 days from invoice issue date. Bank Surcharge: Charges for bank transfers, Online Onepay processing fees, and other monetary transfer or processing fees may apply and will be stated clearly on the invoice after the payment type is chosen. Currency: Tours are quoted in US Dollars. End payment must be made in US Dollars. Client will be charged any applicable conversion fees. We connect with the OnePay Payment Gateway (www.onepay.vn) to accept Online Payment by most major debit and credit Cards. Represents MasterCard to provide online payment solution to the enterprises in Vietnam, OnePAY payment portal meets standards of international financial system such as PCI DSS of PCI Security Standards Council, 3D-Secure of Visa, MasterCard and JCB. Your card information will be processed by advanced security system and not stored at our database (merchant). Just click to the link and follow instructions as below to pay online by credit cards we will need your billing address, telephone number, full name as in your passport to create the invoice. a. Additional charge of 3% for Visa, MasterCard and 4% for American Express, Commercial Card is applied by this payment method. b. Booker must be the card owner. We would require you to provide us copied of your Passport and credit card. In order to create a secured payment link, please kindly send us some information of your card as below (Note: if the following information are not filled, the payment link could not be created). Upon request the payment can be made by a third party. The payer will have to fill in the authorization form and an approval letter for confirmation of the payment. Both documents have the be signed by the payer. Clients’ making changes to itinerary can happen and is understandable. Alterations to the itinerary after reservation has been made will be handled on a case-by-case basis. We reserve the right to charge additional charges and/or issue discounts based on the requested alterations, the time they are submitted, and other circumstances that may arise. In need of cancellation, Vietsense Travel knows that you – the clients – reserve the right to cancel the confirmed services. However, maintaining the born relationship with you is still vital for us. Therefore, we shall manage to reduce the costs arisen due to the cancellation. In worse cases, you are subject to any cancellation fees assessed by the suppliers of services including hotels or airlines used in the itinerary. Notes: Cancellations of Mekong Cruises and Halong Bay Cruises are different basing on the cruise company’s policy, date of booking and price. Kindly get exactly cancellation from our travel consultants when you make a booking with us. Kindly inform about your children’s age to our travel consultant, she or he will give you the exactly price to you in email or brochure. Be noted that kids’s price under 2 year old, ask our sales to more details. Definitely, your kids will be charged 90% for flight tickets.